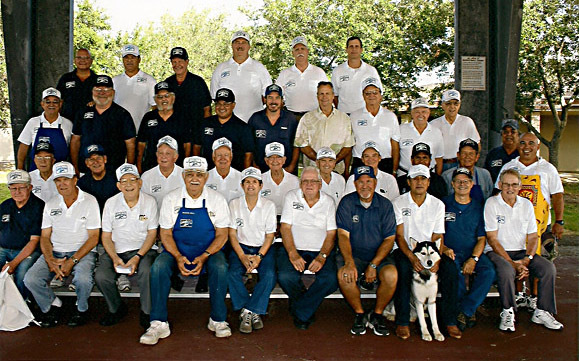 The St. Pius X Men's Club is entering its 28th year. The St. Pius X Men's Club was formed to provide the men of the parish an opportunity to grow in knowledge of the faith through meetings and programs, to grow in relationship with each other, to assist in the maintenance of the physical plant, to assist in the expansion of the parish ground, and to promote the religious vocations and interest of the youth of the parish. The Men's Club has helped to save the parish thousands of dollars in labor and materials. It also assists the parish in fundraising activities. Usually one Saturday a month is desginated as a work day for members. The Men's Club meets every 3rd Tuesday of the month at 7:00 p.m.
CLICK HERE to download a membership form that you can print out and drop by the parish office.